Futures Project (May 2013—January 2014) is a nine-month program that examines future possibilities for the Gulf Coast, with focus areas that are both expected and unexpected. Futures Project features a group exhibition of emerging and established visual artists of our time in our 16,000 square ft. gallery. In addition to the exhibition, the CLA has organized an extensive slate of educational and public programming to compliment and amplify Futures Project. Artists’ projects are considered a springboard for new conversations, and the CLA welcomes their input and ideas for all public programs and activities. A different topic relating to the future will be examined through film screenings, public forums and conversations, studio classes and workshops for all ages, plus special programming for teens and seniors. 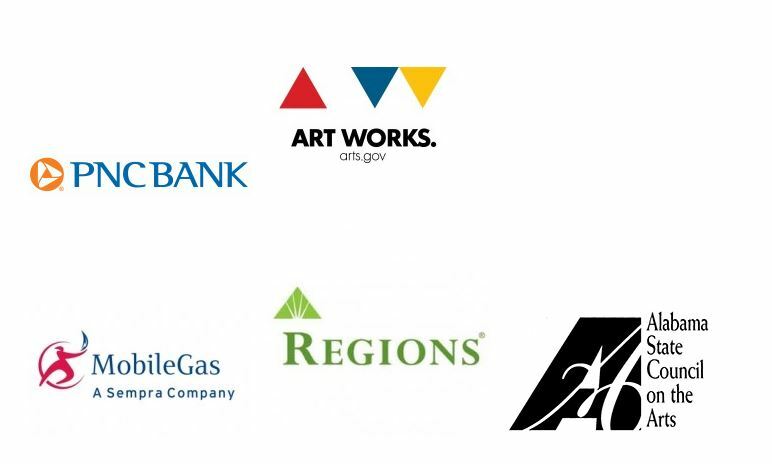 Futures Project has been made possible by the generous support of The J. L. Bedsole Foundation, The Hearin-Chandler Foundation, PNC Bank, The Daniel Foundation of Alabama, and the National Endowment for the Arts. Additional support provided by Mobile Gas, Regions, Ben May Charitable Trust, The Caring Foundation of Blue Cross Blue Shield of Alabama, Mike and Cay Rogers, Educational Foundation of America, Alabama State Council on the Arts, City of Mobile, and Mobile County Commission. Special thanks to Fabrication Specialists Inc. and Hampton Inn & Suites Mobile / Downtown Historic District.